﻿ The Dylan Hotel at SFO, San Francisco (CA) | FROM $99 - SAVE ON AGODA! "Best SFO airport option ever!" 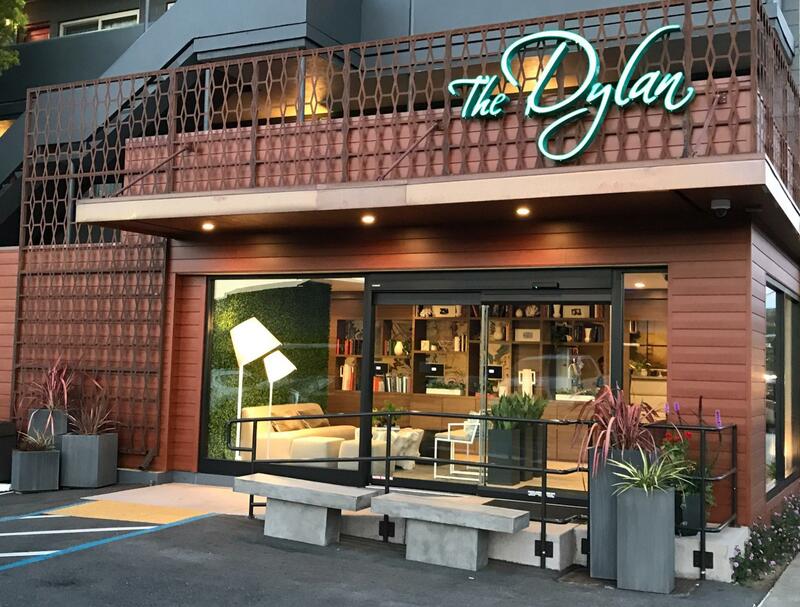 Have a question for The Dylan Hotel at SFO? "Free car park, close to station and restaurants." "Love the breakfast here and super easy to get here by shuttle ." "The beds and other furniture inside our room is pretty new!" "Good base to visit San Francisco as the BART station is only..."
The Dylan Hotel at SFO is just a mile away from the SFO airport and features a free 24-hour San Francisco Airport Shuttle. This hotel's convenient location makes it easy to reach popular attractions such as the Golden Gate Bridge, Fisherman’s Wharf, Alcatraz, and the Silicon Valley. The Dylan Hotel at SFO boasts many complimentary amenities including free Wi-Fi access, free parking, and a complimentary deluxe continental breakfast. 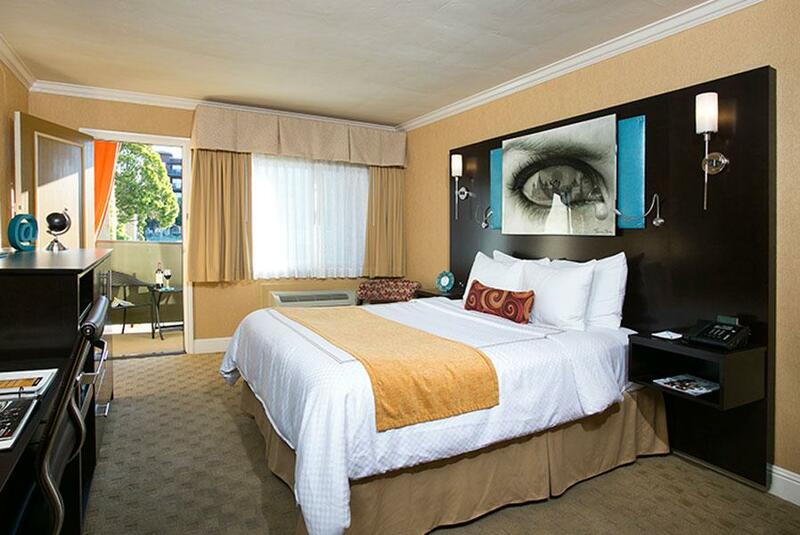 The newly remodeled rooms include all American made furniture with ample built in USB outlets. Each guestroom features the work of famous surrealist photographer, Thomas Barbey, which sits above the beds. Each room also has a 40 inch LCD TV with premium cable channels. The beautiful new bathrooms include spacious showers with imported Spanish porcelain tile, frameless glass shower doors, and relaxing rain showerheads. "The hotel provides free shuttle from/to the airport." When booking more than five rooms, different polciies and additional supplements may apply. The location cannot be beat. Great restaurants and BART very close. The breakfast was marginal but adequate given the space available. We wanted to take the coffee machine in the lobby home with us. So cool. The air-conditioner was too noisy, but not warm enough. Offer free parking and comprehensive American breakfast are good. Best SFO airport option ever! Was so close and plenty of parking. Lobby open 24/7, coffee included! Breakfast was surprisingly full-featured, waffles you make yourself!! All upgraded interior and exterior. This is a great find! The hotel provides free shuttle from/to the airport. The staff is very helpful (Anna). And our staying was satisfactory. There are some stores and markets around the place also an In-and-out restaurant. Good base to visit San Francisco as the BART station is only 5 minutes walk away and costs about $5 for the trip in the city centre. Free shuttle to and from SFO also a bonus. The included breakfast was fine, nothing outstanding, but more than adequate. Free hot drinks and cookies in the reception was a nice touch. I believe the hotel has had a recent refurbishment and it is certainly now quite a stylish and pleasant place to stay for a few days. I was amazed at how quiet this hotel was, one block from the train station and close to SFO. Room amenities are very nice. Avoid the coffee from the lobby machine -- tasteless. In-room coffee is good. Breakfast options are ample and tasty. BEWARE excess credit card charges!! Although my room was fully paid weeks in advance, a $25 charge was still applied to my card for "validation" according to the front desk person. They already had my card, and had already successfully charged it for the full amount, so there was no need to validate it. They already had my money. Too bad this marred an otherwise excellent experience. Location is great, nice staff especially Ms. Anna for her great hospitality, walking distance to bart station, many dining options nearby and a 24hrs Walgreens just opposite the hotel. Great location near airport. Free parking if you have a car. Lots of choices of restaurants, groceries, etc within walking distance. Milbrae Bart just a stone's throw away if need to go to Tanforan Mall (San Bruno, 1-stop) or downtown to the city. Bathroom was a little small and breakfast choices were few. Very detailed management or owner. Every single thing has been thought of. Near BART (train) station. Many restaurants nearby. Will definitely stay again when visiting SF again. Free parking. Free breakfast. Great choice. I was pleased to stay at The Dylan Hotel at SFO for 3 nights in March 2016. The Hotel is very conveniently located less than a mile away from the nearest Caltrain/BART station, which makes it good for travelers like me. A lot of restaurants nearby, and a 24-hour Walgreens just across the road. The cleanliness of the hotel rooms exceeded my expectations. It was a very comfortable stay for my wife and I, and we will be back to stay if we are ever in the area again. My stay here was the best! i have been to san fran many times to visit family. This place is very close to them, close to the airport,city and to shops and restaurants. I Hired a car and was allowed to park in there undercover carpark. The rooms are very clean and the bed is so comfortable. It is a basic hotel but has all the things i needed to be more than happy. The staff are friendly and is well priced, the breakfast is basic but was all i needed, coffee, cereal, yogurt and waffles. I am def staying back there again. It was great! The staff was really helpful, and especially when she realized there was a mistake on our reservation. She was patient to explain and even gave us a proper explanation and made it up to us with a free upgrade! Really appreciated her help! We really enjoyed out stay there. I stayed there for about 2 weeks with my family. We enjoyed the friendly service (thanks ms. Helen! ), the welcoming complimentary beverages made us feel welcome. We like the cleanliness of the room and bathroom, the comfort of the large beds and the spacious room. The breakfast is good too. There were plenty choices of tour recommendation brochures at the hotel. The available airport shuttle made our travel even more convenient. We will definitely come back again and will recommend this hotel to anyone who is going to SFO. Another best thing about Dylan hotel is its location. Centrally located near good restaurants like vietnamese, thai, mexican, chinese, japanese, etc. Supermarkets and shops are just within walking distance. I recommend the vietnamese resto : the Camille which serves wonderful, tasty and healthy food at v reasonable price. We love the food so much that we ate there about 8 times during our stay. Good airport transfer service, I arrived at SFO 12:00am and the airport shuttle came about 20 mins later just as promised. For my departure at 9:00am, the shuttle picks me up at 8:40am and arrive in SFO in less than ten mins. The location is convenient. The hotel provides Caltrain and Bart fares and schedule guide. I took less than 5 mins walk to the station which provides connection to San Francisco(less than 30 mins) and San Jose (about 1 hour). Saved the hassle if you do not have a car to go around. Impressed with the cleanliness and brightness of the room. They have also provided microwave oven, fridge, coffee maker, iron, ironing board and hair dryer. Breakfast spread was more than what other same grade hotels provide and the food were constantly replenished. Will stay here again if they do not increase their prices. The rooms were big, bed was comfy. Just a peeve with how the door was hard to open and close. Shuttle available for airport to-from transfer. Compared to the other big hotel chains near SFO that i stayed with before, this was the better choice. Love the breakfast here and super easy to get here by shuttle . I knew the location was good (right near BART) but overall quality surpassed expectations. Good breakfast, rooms use space well. Recommend top floor to avoid someone walking above you. I've been staying here for a few years and have seen the price go up and up. Now to get a fridge and microwave you must rent a "delux" room. I thought those item were standard in hotel rooms. May be time to start looking elsewhere. Well, there are too many choices around that area. Staff was more than helpful, always smiling, will be back next time!